Chase Ultimate Rewards points are valuable and flexible. At the simplest level, you can redeem points for cash or merchandise, but only at one cent per point. The best value is to use the points for travel. We value Chase points at 1.8 cents per point because of their value when transferred to travel partners like Southwest, United, Hyatt, or Marriott. 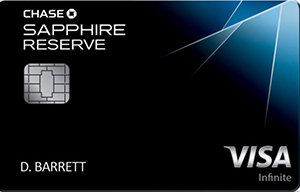 You can also use points to book travel through the Chase Ultimate Rewards portal, where points are worth 1.25 cents each with premium cards (Sapphire Preferred or Ink Business Preferred, for example) or 1.5 cents each with the ultra-premium Sapphire Reserve card. Ultimate Rewards points associated with a premium or ultra-premium card can also be transferable to an airline or hotel program. If your points are associated with a no-fee "cash back" Ultimate Rewards card, then you will want to move those points to a premium or ultra-premium card before redeeming them in order to maximize value. To check your application status, you can call (888) 338-2586. If denied, you can call reconsideration at 1-888-270-2127 for both personal and business cards.